For very special memories, add sparkle to their preservation. 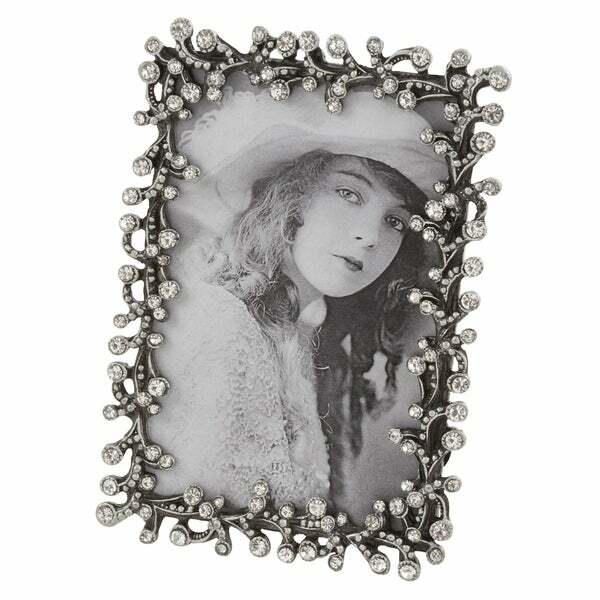 This stylish jeweled picture frame will make your important memories even more so. Its old-world beauty and charm makes it a great fit in any décor. Portrait orientation and thin border design. Brings an old-world appeal to your décor. Dimensions 6.0 In. X 4.0 In. X 1.0 In. Pisa57 White Carved Frame 5"X7"
Elegance Textured Photo Frame 8 x 10"